The Faces of Loudoun is a program of the Community Foundation for Loudoun and Northern Fauquier Counties. The campaign began with a group of concerned leaders who gathered together to identify the county’s fundamental needs. Data from a national study indicates lackluster charitable giving rates in Loudoun County, especially in contrast to neighboring counties. 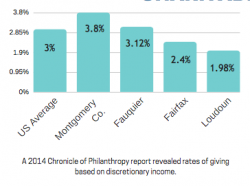 Loudoun residents donate 1.98% of discretionary income to charity, a third less than the national average. The committee wanted to understand why. 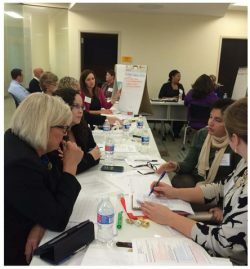 The Community Foundation convened a series of focus groups to explore the underlying reasons behind the county’s giving behaviors. The answer was somewhat surprising: The average resident of Loudoun County does not see the struggles of their neighbors. Needs, crises, and problems are simply not visible. And we learned the nonprofits dedicated to providing services are not visible, either. Thus was born the Faces of Loudoun, a multi-media, multi-channel campaign aimed at raising the awareness of needs in Loudoun County while also celebrating the volunteers and leaders in our community. We are featuring the stories of real people who have courageously agreed to share their unexpected stories to help drive results right here in Loudoun. —Increased funding for nonprofit organizations from the county government. —Make a gift on our site. Your entire donation will go to community grants. Please help us make Loudoun one of the most generous counties in Virginia! Do your part to help us End the Need! The Community Foundation for Loudoun and Northern Fauquier Counties is dedicated to building local endowment by fostering a community of grantmakers, promoting strategic leadership, and investing in partnerships for the benefit of the community of Loudoun and Northern Fauquier. Since our founding in 1999, the Community Foundation has granted $5 million to the community. It is led by a volunteer Board of 12 local citizens with a variety of professional backgrounds and philanthropic commitments who guide and direct our programs and our staff.